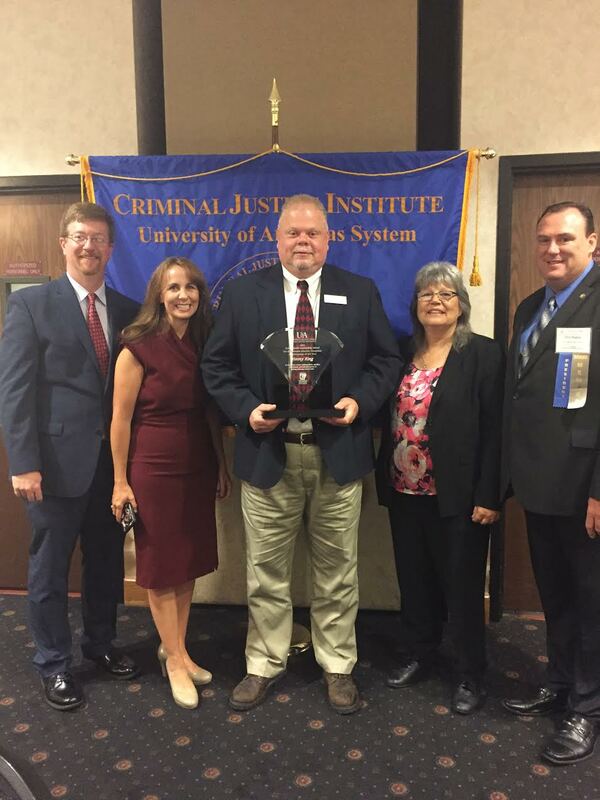 The Arkansas Safe Schools Association presented the Safe Schools Leadership Award for Education Administrator to Jimmy King, assistant principal of Goza Middle School, on July 20 at an annual conference held in North Little Rock. According to the Arkansas Safe Schools Association, the award recognizes a school administrator that has “made a specific, significant contribution to their School Resource Officer (SRO) Program.” King was selected based on his “development of positive relationships with the school resource officer, commitment to enhancing campus safety, promotion of the school-based law enforcement mission, and dedication to serving the school resource officers”. Arkadelphia Public Schools would like to invite you to join us in congratulating King on his efforts to keep our student’s safe and his promotion of our school resource officers.